You know Daniel Ricciardo. He's the guy who walks through a paddock without the need for an entourage to protect him from people, nor the seemingly ubiquitous headphones intended to portray the message: "Leave me alone, I'm in my own head space. And no, you can't take a selfie." And of course he is never seen without that engaging trademark smile. He looks like a man who is truly happy in his life and his work, and isn't shy about letting the world know how much he loves being a Formula One driver. That's more than you can sometimes say about some, even when they are on the podium. So when that smile was so obviously missing as Lewis Hamilton and Sergio Perez celebrated in front of Prince Albert's Royal Box in Monaco on Sunday evening, you knew something was up. And it was a lot more than the chop Hamilton gave him exiting the chicane on the 37th lap, which proved the closest he got to passing the world champion's Mercedes. As Hamilton sprinted towards his team, dived into the huddle and hugged them, walked towards the podium, then made a U-turn and ran back to hug his crew again, Ricciardo silently fumed. "Two races in a row, two races in a row," he lamented angrily, when later he was prepared to say more than the terse, "Save it, there's nothing you guys can say that will make it any better," as his engineers offered congratulatory messages over the radio. All of this simply underlines that nobody gets it right all the time, and that success at this level of racing is as much about the actions of the men behind the cars as it is about what the driver does at the wheel. The two are so fundamentally linked that an error by either can disrupt even the best-laid plans. "We had a comfortable lead, pitted for intermediate tyres, got stuck behind Lewis and we just effectively put ourselves in a race we didn't need to be into," he continued. "Then I got called into the pits for the slicks and the tyres weren't ready. I didn't make the late call. I got to the pits and everyone's running around like headless chickens. Massively, massively disappointed." The pressures are high in Monaco, and in F1 in general yesterday's champ can quickly become today's chump. Last year Mercedes threw away a dominant victory for Hamilton with an ill-judged pit stop that instead set less deserving team-mate Nico Rosberg up for a third straight win. Now the strategy that Toto Wolff's men came up with was instrumental - together with Hamilton's decision-making and driving ability - in securing a brilliant triumph. 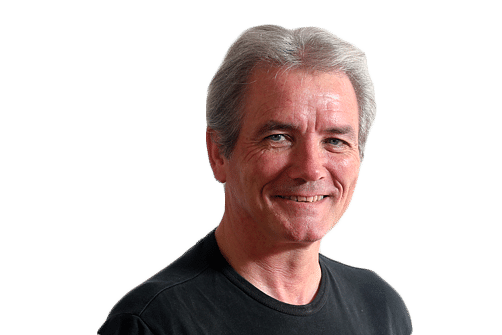 Two weeks ago, Red Bull's granite-hard Dr Helmut Marko looked like a genius after replacing disgraced Daniil Kvyat with Max Verstappen, then watching the teenager coolly take his first victory after trouncing Kimi Raikkonen and Ferrari. But this week, Marko and Red Bull team boss Christian Horner looked doubly remiss. The delay with the tyres was so significant that even the normally bird-mouthed Marko was moved to comment: "We presented the race to Mercedes. Unfortunately, a lot of misunderstanding and not the right communication. "We will investigate and find out what happened, but it was a human mistake. All we can do is apologise to Daniel." 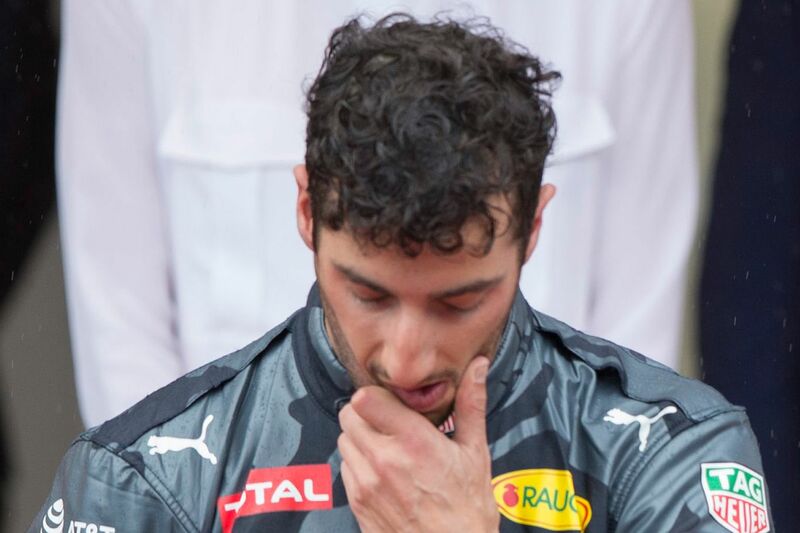 Ricciardo was not easily placated. "This was a win I can never get back," he growled. All of this underlines that nobody gets it right all the time, and that success at this level of racing is as much about the actions of the teams as it is about the driver. The two are so fundamentally linked that an error by either can disrupt even the best-laid plans. Then there was the saga of Verstappen's weekend. Ricciardo had the latest version of Renault's powertrain, which was reckoned to be worth two-tenths of a second a lap. On Thursday morning the two drivers recorded almost identical times. Again the Dutchman impressed. Things came undone on Saturday morning, when he crashed heavily heading up the hill to the famed casino, but his car was repaired in time for qualifying. Then he crashed again. He started the race from pit lane and overtook more cars than anyone else before he crashed again, metres away from the scene of his Saturday accident. Hero, to zero. But that's racing. Sometimes you get the ursine feast, at others the grizzly eats you. It's part of what makes this sport so fascinating, the human strength, the human vulnerability. Ask Hamilton. He hadn't won a race since America last October; his team-mate Rosberg won seven in the intervening months. "When you keep falling it's hard to always come up with innovative ways to keep yourself motivated, to keep yourself believing," Hamilton said on Sunday. That spiritual resilience is part of what makes F1 so special, too.